Yesterday, I just discovered that Dragon Nest M PvP ladder ranking was reset. 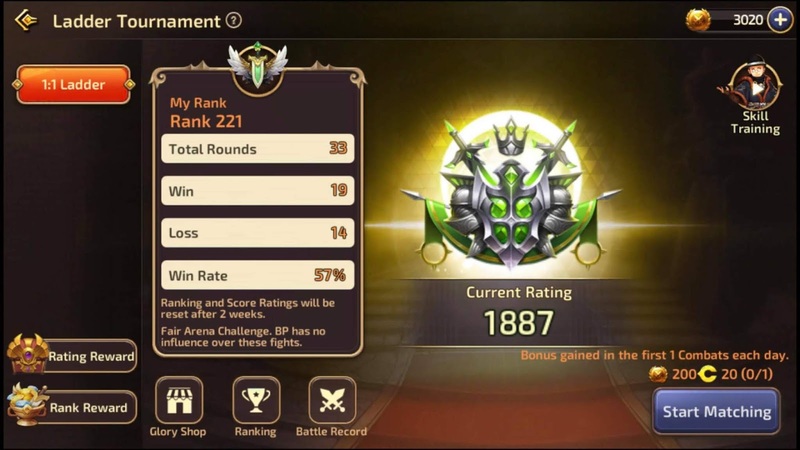 I've been thinking if its really that worth it, to continue chasing top 100 ranking or just stay below. One of the most exciting about this game was the PvP. It is where most player trying to aim for to earn extra rewards. Well, I've been playing PvP for a week and I did get some good reward even when I'm top below 100. As I see, it is really fine that every Monday, this event will keep on resetting so that other players can catch up for the next top players. If you stop chasing top 100, you can still receive your reward. But if you want to be more stronger, there are things that you really need to keep on playing PvP Ladder. As long as you get higher ladder points, there will be some DC (dragon coin). So, I can say, Yes! thank you that this was always resetting every Monday. bro, after the reset will the win/lose/draw/matches will be reset(zero) ?